Globalization and technology are combining to change socio-economic relationships. The pace of change and uncertainty of the world of work – no job for life, zero-hours contracts, diminished pension rights and a growing delivery dependence on digital networks over human contact – are creating a profound unease that may be unprecedented in the Western world. If organizational patterns are not sufficiently adjusted and businesses continue as usual, we run the risk of alienating entire groups within society with many feeling ‘left behind’. 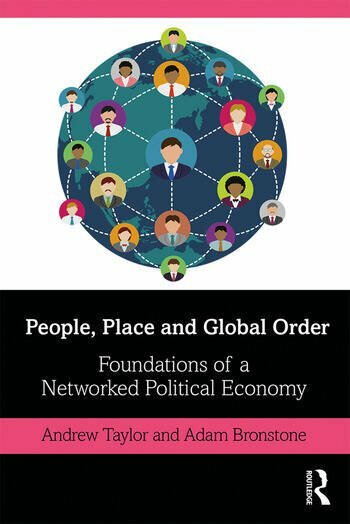 Using deliberately accessible language for students and the general reader, the authors draw upon socially innovative models of economic organization from the nineteenth century to present a model to master this new economy for the common good. The book illustrates, with practical examples, how digital networks can be leveraged and provides a common checklist to identify suitable conditions for organizations to flourish and provide the means to more effectively evaluate opportunities. 1. The Scorpions Tail: Technology and Globalisation Converge 2. The Sharp End of the Stick: Impacts on Society 3. Economic and Social Change 4. Back to the Future: Our Forgotten History 5. A Common Future 6. Conclusion. Andrew Taylor has run the consulting firm Connect CEE since 2000. He also established the Hull University Executive MBA in Romania in 2014 and remains Programme Director of an expanding range of executive programmes with British universities. Adam Bronstone is director of planning for a non-profit in Nashville (TN). Adam also has relationships with several area universities and organizations, where he lectures on topics related to the state of Europe, from domestic and international perspectives, and has served as an adjunct lecturer in Britain, Canada and the United States.